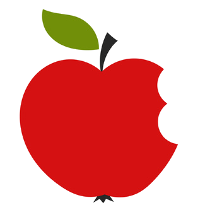 QuestingHound Technology Partners proudly honors the AppleCare Protection Plan, and Apple’s Extended Warranty Program. Whether your computer is under warranty or not, you can count on our trusted technicians to identify and resolve your PC problems in a timely fashion. Whether you need on-site or remote support, QuestingHound Technology Partners is here for you. Sometimes a problem arises that cannot be fixed with our remote support solution, and it requires a more personal touch. Our team of Apple Certified IT Technicians are here to help. Sometimes it can be challenging updating all of your software and applications in a timely manner. QuestingHound Technology Partners automates these services so that they are applied as they are issued, taking the responsibility for keeping a secure network off of your shoulders. You have other things to worry about, and your network security is not one of them. If you’re looking for comprehensive service solutions for your Apple network, look no further than QuestingHound Technology Partners. We know what it takes to get your business to the front of the pack. Our technicians take pride in their ability to handle your Mac problems. When your business succeeds, we succeed. For more information concerning Apple technology and services, contact QuestingHound Technology Partners today at 954-727-2200.